Celebrate the Patriots Sixth Super Bowl Championship with a commemorative New England Patriots Super Bowl LIII Champions Starter Mat! 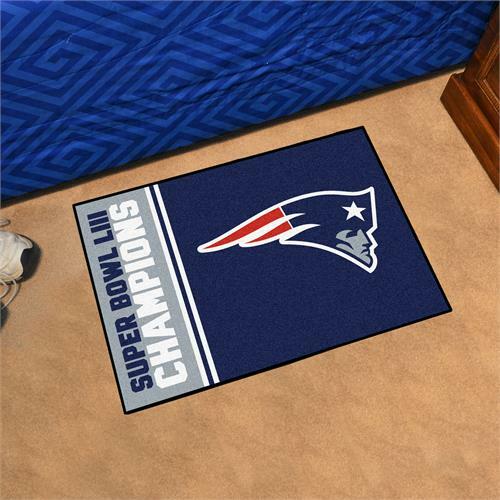 This 100% nylon carpet features non-skid Duragon latex backing and comes with chromojet printing that increases both the true Patriots colors durability and the rug's longevity. It is also machine washable and made in the USA.